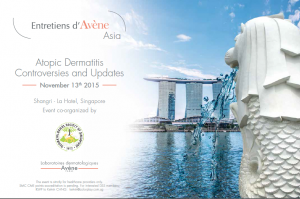 Atopic Dermatitis in Asia - Is there an Asian Phenotype? Mark Tang is a Senior Consultant Dermatologist at the National Skin Centre (NSC) in Singapore, where he is the Director of Research and Head of the Eczema Clinic. He is also a Clinical Associate Professor at the School of Medicine, National University of Singapore (NUS). He is a Dean's List graduate from the National University of Singapore, where he won numerous undergraduate and postgraduate awards for academic excellence, including the VS Rajan Gold Medal in Dermatology. He completed his Internal Medicine and Dermatology training in Singapore, as well as post-residency Dermatology fellowships at the University of Pennsylvania, USA and University of Toronto, Canada. His main clinical and research interest is in Atopic Eczema and is the principal investigator for several investigational studies and clinical trials in Atopic Eczema. He has published extensively in many internationally peer-reviewed medical journals on a range of dermatological diseases. He was involved with the setting up of the Eczema Support Group in Singapore. He is actively engaged in undergraduate and postgraduate dermatology education and is a course director of the NUS-NSC Diploma in Family Practice Dermatology program and a member of the NHG-NUS Clinical Leadership in Research Faculty. He has been awarded the NUS Dean's Award for Teaching, the National Healthcare Group Education Leaders Award, the NSC Best Teacher Award and the NSC Service Champion Award for Excellent Patient Care. Chew Fook Tim obtained his PhD from the National University of Singapore (NUS) in 1998. He was formerly a Research Fellow at the Department of Paediatrics, NUS (1999-2001), before joining the faculty at the Department of Biological Sciences (NUS) in July 2001. He is currently the Principal Investigator of the Functional Genomics Laboratories, Associate Professor (in Genetics and Immunology) at the Department of Biological Sciences, and Vice Dean of Undergraduate Studies and Student Life at the Faculty of Science, NUS. His laboratory focused itself in the field of genetics, allergy and immunology, and has research collaborations and links with many basic academic research groups, allergen manufacturers / industry, regulatory bodies and clinicians worldwide. He has spoken widely around the world and has published >120 scientific articles and >200 international conference presentations to-date. He speaks regularly both locally and internationally on topics ranging from genetics and genomics, allergens, asthma and allergies, environmental health, education, thinking, entrepreneurship, leadership, life sciences and biomedical sciences in Asia. He has been awarded several honours for his contributions to research, education and service. These include: the NUS Outstanding University Researcher Award (1999); National Medical Research Council-National University Hospital Young Scientist Award (1997), Chua Toh Hua Memorial Gold Medal (Outstanding PhD Thesis in Biomedical Sciences, NUS) (1998), NUS Excellent Teachers (2001/2 and 2002/3); NUS Faculty of Science Teaching Excellence Award (2002/3, 2003/4, 2004/5, 2008/9); NUS Faculty of Science Teaching Honour Roll (2005/6 and 2006/7), NUS Office of Life Sciences Young Investigator Award (2003); Tan Kah Kee Young Inventors Award (2004); NUS Long Service Award (2004, 2009, 2014) and CRISP Award Outstanding UROPS Undergraduate Project (Supervisor) (2008). He was awarded the Singapore Youth Award in 2004, for his contributions in Science and Technology. Dr. Cheng-Che Lan received his MD degree from National Cheng-Kung University Tainan, Taiwan, and PhD degree from Kaohsiung Medical University, Kaohsiung, Taiwan. Currently, Dr. Lan is the Professor at Dermatology Department and serves as the Secretary (Physician) at the Office of Secretariat, Kaohsiung Medical University. Dr. Lan has served as the Secretary for Asian Society of Pigment Cell Research and is currently the associate editor for Dermatologica Sinica, the official journal of Taiwanese Dermatological Association. Dr. Lan focuses his academic research on pigmentary disorders, wound healing, and photobiology. He enjoys clinical practice as much as academic research. Which is the therapeutic translation of our current understanding of Atopic Dermatitis? Dr Taieb is Professor of Dermatology and Head of the Department of Dermatology and Pediatric Dermatology at Bordeaux University Hospitals, Director of the National Reference Centre for Rare Skin Disorders established in 2005. Dr Taieb studied paediatric dermatology under Prof J Maleville at Bordeaux Children’s Hospital and is a former research fellow from the University of Michigan at Ann Arbor. He serves or has served on the board of several national (Société Française de Dermatologie, Société de Recherche Dermatologique) and international societies (ESPD, ESPCR, EAACI). Former president of the Société Française de Dermatologie Pédiatrique, and coordinator of the Inserm- Dermatological Learned Societies committee. Serves as associate editor, British Journal of Dermatology, Pigment Cell Melanoma Research, Melanoma Research, Experimental Dermatology. Has created and managed the European Task Force on Atopic Dermatitis from 1990 to 2000, and created of the Vitiligo European Task Force on Vitiligo with Dr M Picardo in 2003; Chair of the special interest group on Vitiligo of the international federation of pigment cell societies (IFPCS). Organiser of the annual course of Paediatric Dermatology, Arcachon since 1992; Organiser or co-organiser of several international meetings (European Soc Ped Dermatol, Bordeaux, 1990; European Soc Pigment Cell Res, Bordeaux, 1997, World Congress of Dermatology, Paris, 2002; International Symposium on Atopic Dermatitis, Arcachon 2005; International Pigment Cell Conference, Bordeaux 2011). Has authored more than 500 articles in peer-reviewed journals and more than 50 chapters in multiauthored books. Co-author of “History of Atopic Dermatitis” with Drs Wallach and Tilles, Masson, 2004, “Neonatal Dermatology” Maloine, 2009, with Drs Enjolras, Vabres and Wallach, and “Vitiligo” (Springer, 2010, with Dr Picardo). His major topics of interest are paediatric dermatology, genodermatoses, atopic dermatitis, pigment cell disorders and the ex-vivo study of the epidermal melanin unit (physiology and pathophysiology). He has received the Certificate of appreciation of the International League of Dermatological Societies (ILDS) in 2009 for several achievements made during his career and the American Skin Association award for his work on pigment cell disorders in 2012. H factor 49. Topical Corticosteroids in Atopic Dermatitis - Is it really safe? H1 Antihistamines in Atopic Dermatitis - Does it really work? Norito Katoh is Professor and Chairperson of Department of Dermatology, Kyoto Prefectural University of Medicine, Japan. He qualified in medicine in 1989 and gained a PhD in 1997. He has been board certified dermatologist and allergist since 1995 and 2004, respectively. He worked at Immunobiology Laboratory, Department of Dermatology, University of Bonn, Germany as a post-doctoral researcher in 1997-1998. Professor Katoh is Chairperson of the Establishing Committee of Guidelines for the Management of Atopic Dermatitis by Japanese Dermatological Association. He is also Chairperson of Establishing Committee of Clinical Guidelines for the Management of Atopic Dermatitis, supported by Japanese Ministry of Health, Labour and Welfare. He has published numerous clinical and scientific articles in international journals about the pathogenesis of allergic skin disorders including atopic dermatitis and contact dermatitis. Professor Katoh is a members of Board of Directors of International Society for Atopic Dermatitis, Japanese Society for Investigative Dermatology, and many others. He is an editorial member of Journal of Dermatological Science and Journal of Dermatology. Dr Hon is a paediatric professor at the Chinese University of Hong Kong. He received undergraduate medical education at the University of Western Australia. He is a Fellow of the American Academy of Pediatricians (FAAP) and Fellow of Critical Care Medicine (FCCM). His Doctor of Medicine (MD) thesis is on the assessment of eczema. He has published more than 200 peer-reviewed scientific papers, books and book chapters; and his research interests include many paediatric issues. He has performed extensive research on topical emollients, antibiotic, corticosteroid, systemic immunotherapy, food avoidance and dietary supplementation, traditional Chinese medicine and bench research on eczema biomarkers, as well as many paediatric psychosocial issues. 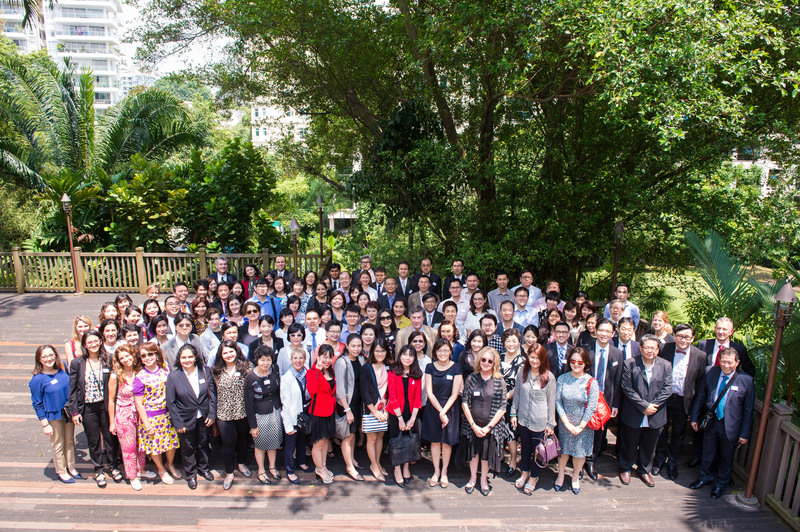 Dr Hon is particular keen to education parents to dismiss a lot of myths and fallacies that hinder good child health and skin care in Hong Kong. Skin Barrier Repair for the Primary Prevention of Atopic Dermatitis - Does it really work? Dr Kim Hyunjong is the Director of the Department of Dermatology/Atopy Clinic and the Principal Researcher, Department of Environmental Health Research, Seoul Medical Center, Seoul, Korea. From the 4th, September, she also has a new duty as the CCO, Human Understanding Design Center in SMC .After obtaining her M.A. in Immune and Cellular Technology from the Yonsei University, Seoul, Korea in 1997, she went on to obtain her M.D., followed by M.A. and Ph.D. from the same university medical college. She had completed her Residency in the Department of Dermatology at Yongdong Severance Hospital, Seoul, Korea, followed by Research fellowship in Department of Dermatology from the same institute. Prior to her current status, she was the Assistant Clinical Research Professor in the Department of Dermatology at the Gangnam Severance Hospital, Yonsei University College of Medicine, Seoul, Korea. She has been trained as a researcher for skin barrier in Dr. Elias lab, VAMC, UCSF, San Francisco, USA. She works as a member of various dermatological societies in Korea and Asia, including Korean Society for Skin Barrier Research as a General Director, Asian-Pacific Barrier Research Society as the member of Scientific Committee, Korean Society of Cosmetic Research as a Director of Assessment and Risk Management Part and Korean Society of Investigative Dermatology as a Member of Intelligence Committee. She is the expert in the Education programme for Atopic dermatitis patients. She fulfils as the chairperson of practical affairs in Seoul Atopy Asthma information Center and as Atopy and Asthma special consultant for Seoul Metro City Health Promotion Working Group. Her research interests are Atopic dermatitis and Skin barrier. She takes part in the TFT for Development of Korean Dermatological Association-Questionnaire for Atopic Dermatitis and Korean Atopic dermatitis treatment guideline. She involves in various atopic dermatitis related researches, for example, Prevalence and risk factors for corticosteroid-induced side effects in adult patients with atopic dermatitis and some clinical work as well in Research department, National Skin Center, Singapore from the Jan, 2014 to Dec, 2014.